Though landing on the moon characterised the late 1960s in America, the topic of Mars exploration dominates today's conversation. The Mars "Opportunity" rover, launched in 2003, recently concluded its mission after years spent enduring dust storms and exploring the planet's terrain. Its discoveries have informed future human missions to Mars and are continually inspiring artists, designers and space enthusiasts everywhere. 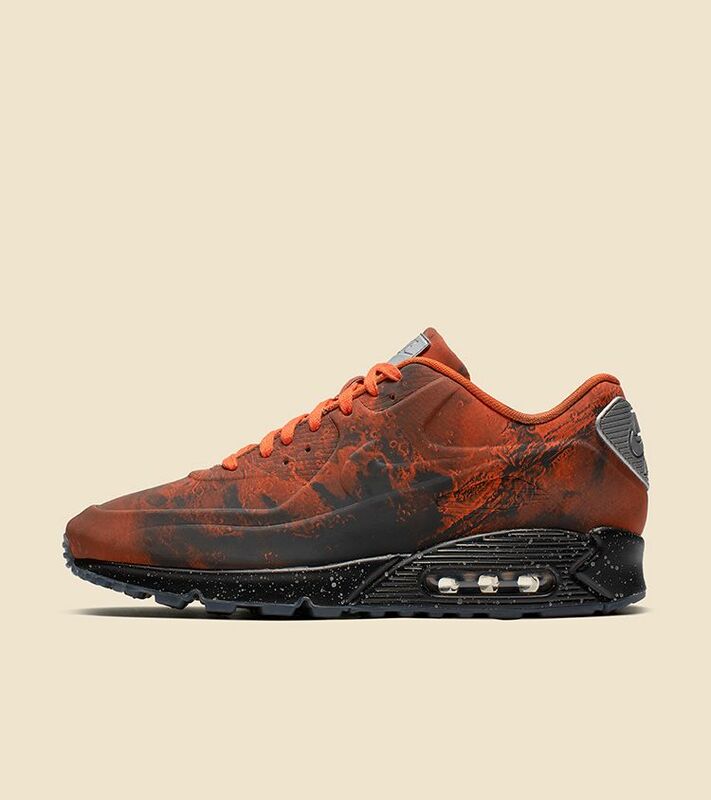 In 2014, the famed moon landing influenced the design of the Nike Air Max 90 "Lunar Landing". Its American-flag-inspired heel, Nike Lunar tooling and graphic upper with reflective elements made it a highly coveted silhouette. 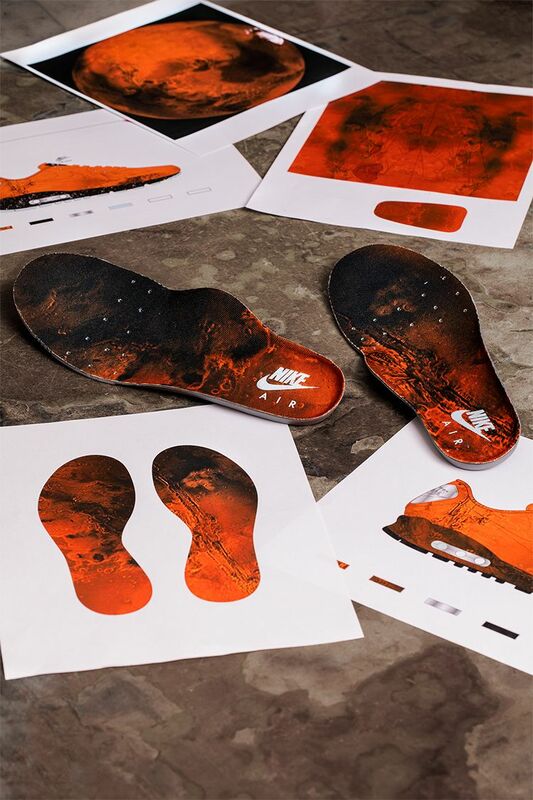 For 2019, Nike Sportswear designers proposed a new "Mars Landing" version, using an official image of Mars on the upper, tongue and sockliner and a rover-wheel-inspired graphic on the outsole. 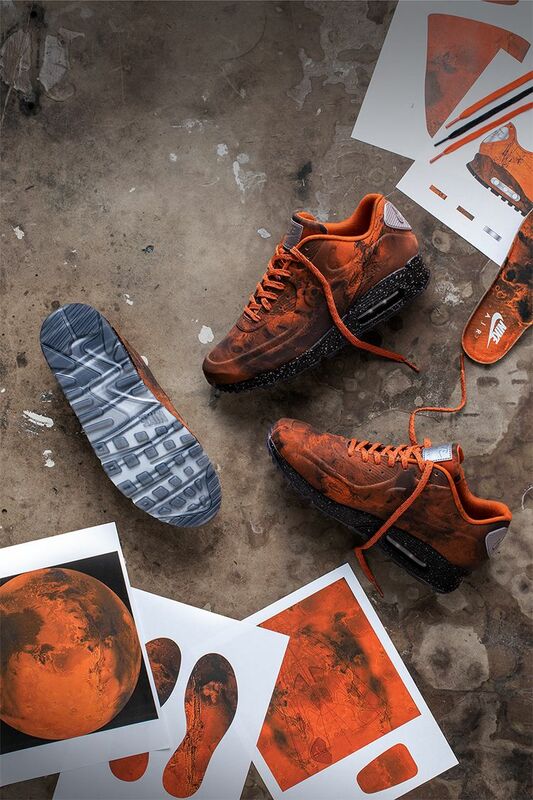 The development of the Air Max 90 "Mars Landing" involved numerous rounds of trial and error. 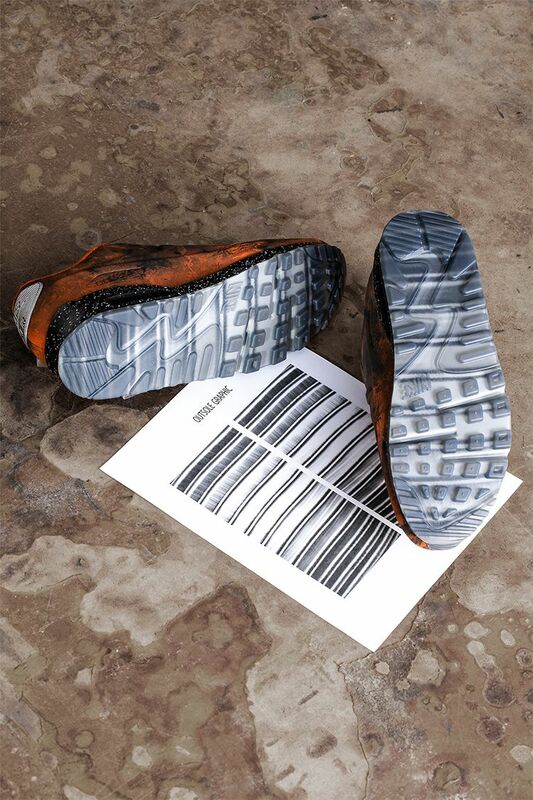 The teams pored through hundreds of archival images to finalise the all-over graphic, as well as the exact shade of reddish orange used on the laces and interior. Though the new silhouette focuses on Mars, certain details recall the original "Lunar Landing" shoe, including the all-over graphic and reflective elements on the laces and midsole speckles. The introduction of metallic hits on the tongue, heel and outsole references the shiny Mars rovers. 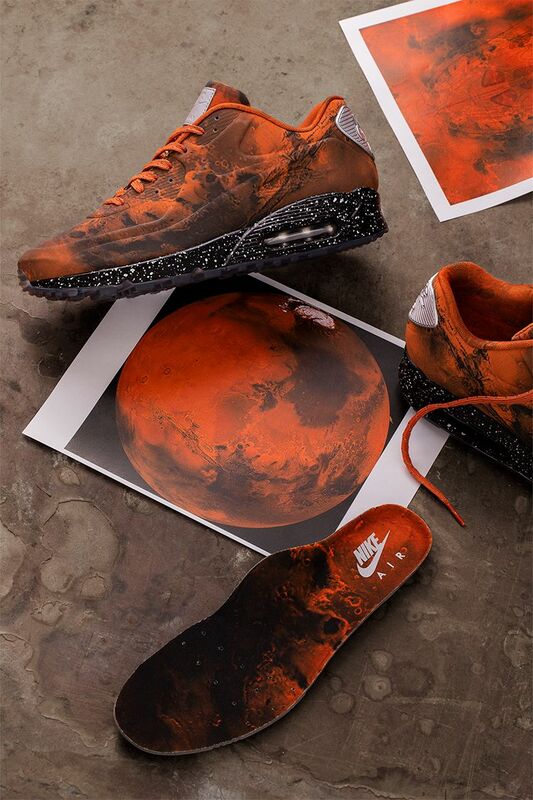 The result is a shoe that celebrates the past while looking forward to the exciting future of space travel and discovery.